Aqua Sana is Center Parcs’ very own spa retreat in the forest. Tucked away, surrounded by trees, Aqua Sana offers a sensory escape in the heart of the forest giving guests at Center Parcs Longford Forest an unparalleled spa experience, the opportunity to relax, unwind and treat themselves to some ‘me time’. 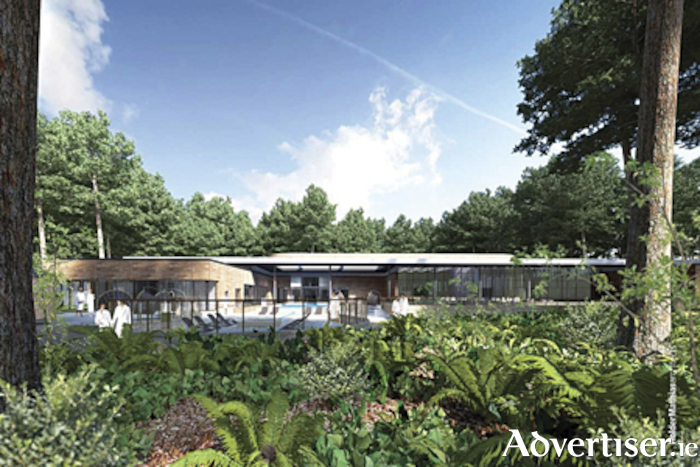 Measuring over 2,500 square meters and costing €10m, Aqua Sana Longford Forest is set to be Ireland’s largest stand alone spa, boasting 14 treatments rooms and 23 unique spa experiences. Center Parcs Ireland has also announced that luxury beauty brands VOYA and ELEMIS have been selected as spa suppliers for Aqua Sana. World renowned Irish spa brand, VOYA, and leading skincare brand, ELEMIS, will provide the premium spa products for a wide range of treatments. VOYA certified organic products are formulated using the finest natural ingredients, hand-harvested seaweed extract and essential oils to nourish and protect skin to offer guests to Aqua Sana the best of award winning therapeutic treatments. While leading beauty brand, ELEMIS, blends science and nature to provide products that have been hailed for their transformative results. VOYA and ELEMIS will work hand in hand to deliver the ultimate spa experience at Aqua Sana, Center Parcs Longford Forest.